Go to paint mode, so you can see what it'll look like textured, then open up a cheat window by pressing "control-shift-c"
Now you can load it up in any 3D application that supports Collada. The plugins for most standard 3D applications (Maya, Max, Modo among others) can be found here. In addition, the character's rig and skin weights come through, so you can pose and animate it. Click the thumbnails below to get full sized renders of recent creature challenge winners from the community. 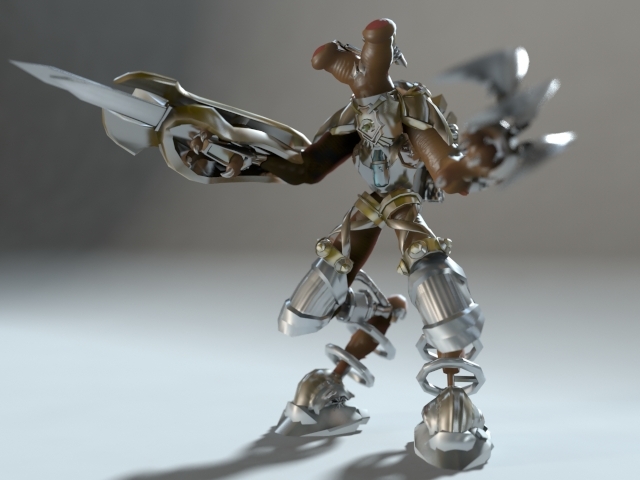 Want to share the renders you've made, or ask a question about how to do this yourself? Head over to the forum discussion on rendering creatures from Spore.